Today we’re announcing the Fleet Telematics API that gives access through just one service call to all features and functions that were previously accessible through the separate Platform Extensions. We launched our first Platform Extension in 2015 as a way of providing a more customized experience for business applications. Since then, we’ve continued to extend our portfolio of Platform Extensions to meet the location needs of our partners and developers. With the launch of the Fleet Telematics API we continue this evolution by providing a rich set of new algorithms that were built to support some of the more complex fleet management use cases. This new service will allow developers to integrate our services faster and more efficiently while minimizing the service calls needed for certain responses. With Platform Extensions you would’ve made separate API calls when combining certain features (eg, calculating routes with rest times while utilizing custom routes, calculating the toll cost for a route that is optimized based on the sequence of waypoints). With the new Fleet Telematics API you can get access to all the features and functions through the same service, and sometimes one API call, when these features needs to be combined into your application. In addition, it provides the extended flexibility to utilize and combine feature sets in various ways without significant limitations. Innovation demands iteration and requires constant change. And while we know change is never easy, we believe this new service will allow for a more innovative and robust development and application environment for our developers and partners. Stitching up APIs and combining features sets effectively can significantly impact development costs but can also have a tremendous bearing on the robustness of an application. 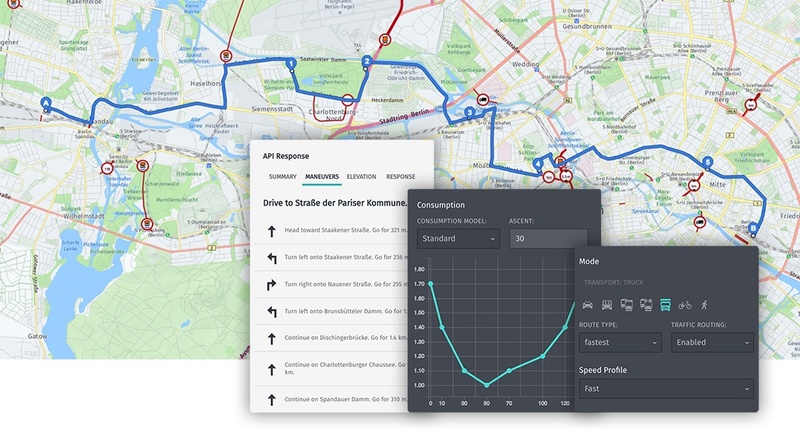 The Fleet Telematics API solves all these challenges, and in addition, allows applications to achieve a faster time-to-market by giving access to a comprehensive list of complex location algorithms that are intelligently built and ready-to-use. What are some of new key features provided through this service? If you’re already using our Platform Extensions, you can continue using the features as they are. If you want to take advantage of the new service and its enhancements, please check the Fleet Telematics API documentation and make any necessary adjustments to your service calls. If you’d like to start using this service but have never used the Platform Extensions before, sign up for a Freemium license on this site. Over the coming months, we will continue to add new features and capabilities to the Fleet Telematics API to allow applications to make the most out of our location technologies and support your evolving needs. Stay tuned.